We specialize in the manufacturing of superb quality Zinc Dust. Coarse Zinc Powder Made By Atomization, Suitable for Brake Pads. Application are Available in Different Mesh Analysis. Particle Shape is Irregular, Silver Grey in Color. JoshiChem is Contract Manufacturer & Exporter of various Metalic Salts application for multiple industry. Major Grade available in Ready Stock. Quality Supply With Customer’s Satisfaction - Since 1971. We manufacture atomised zinc metal powder from air atomisation of virgin zinc metal ingots with purity 99.995 % shg zinc. 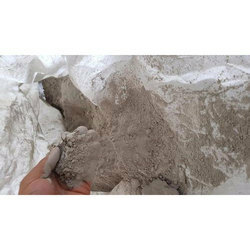 Our zinc powder ranges from ad 2.0 to 2.2 g/cc and particle size 40 mesh to 400 mesh.our zinc powder is used for chemical reduction, catalysts, brake pads, sintered bushes, diamond tools, paints, pharmaceutical applications. 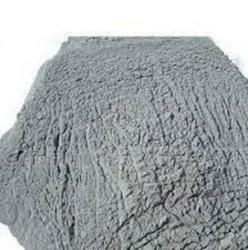 Our clients can avail from us superior quality Zinc Dust. The Zinc Dust provided by us is has a number of applications. This Zinc Dust is pure in nature as we manufacture it under the supervision of experts. Our Zinc Dust has correct compositions and exhibit accurate chemical and physical properties. This Zinc Dust is available at reasonable prices. We are supplying of Zinc Dust which is mainly Used in Paints, Metal Replacement, Chemicals and Protective Coating etc. Access the site at www dot rockfert dot com Go to the contact page and send us your communication from the page. Zinc ash is a raw material used for the preparation of micro nutrients for the soil. These are soil conditioners. See how zinc ash is generated in the industry. We offer PREMIUM Zinc Dust which is manufactured from high purity raw materials and tested to meet strict standards of Quality, Composition and Purity. Our firm is extremely engaged in offering Zinc Dust.